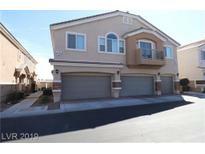 Below you can view all the townhouses for sale in the Saint Rose Court subdivision located in Las Vegas Nevada. 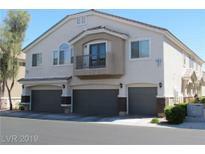 Listings in Saint Rose Court are updated daily from data we receive from the Las Vegas multiple listing service. To learn more about any of these townhouses or to receive custom notifications when a new property is listed for sale in Saint Rose Court, give us a call at 702-323-5939. Stainless steel appliances, spacious living area, balcony located in the master bedroom, and all the features of the Saint Rose Court association. MLS#2088435. Keller Williams Southern Nevada. This Beautiful Home Features Fresh Paint, Laminate Flooring, And Ceiling Fans Throughout*this Open Floorplan Has Vaulted Ceilings And A Guest Bedroom On The Other Side Of The Home*located In A Gated Community Which Features A Bbq Area, Refreshing Pool And Relaxing Spa To Enjoy Wonderful Vegas Nights And Days In*located Near Shopping And Restaurants*this Is The Perfect Home* MLS#2087844. Since 1917 Realty. New laminate flooring and upgraded carpet and padding in bedrooms. Property faces North:) MLS#2086523. iProperties International. Generous Master Suite with Ceiling Fan, Vaulted Ceiling, W/I Closet, and Balcony with Mountain Views. Fresh custom 2-tone paint MLS#2082273. Realty Executives Southern. 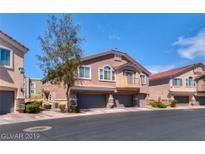 In a Gated Community With a BBQ Area, and Pool/Spa, Located Near Shopping and Restaurants. MLS#2083001. BHHS Nevada Properties. Electric fireplace and extra fridge in garage is personal property and is not included in the sale. MLS#2079468. Realty ONE Group, Inc.
Catch the spirit of this one today! MLS#2079148. Realty ONE Group, Inc. The gated community includes a community pool for fun in the summer! Check this one out today! MLS#2078937. Congress Realty. Beautiful Three Bedroom 2.5 Bath Townhome in South Las Vegas, Great Investment, Fully Furnished unit with Tenant in place, Solid Counter Tops, White Appliances, Tile Flooring Downstairs, Carpet & Wood Flooring Upstairs, Includes 2 Car Garage, Nice size Backyard, Community Pool & Spa, Gated Community, Easy Access to shopping, Schools and parks, All Furniture and Fixtures can be obtained outside of escrow... MLS#2078295. Premier Realty Group. Easy to maintain desert smart backyard adjacent to sparkling community pool.A MUST SEE!BRING US AN OFFER! MLS#2072438. Windermere Anthem Hills. A community pool is part of the Saint Rose Court HOA. MLS#2069306. Opendoor Brokerage LLC.